As the sun sets, the campground buzzes as people pitch tents and set up kitchens on the green fields of rural Vazante, a city in Brazil’s southeastern state of Minas Gerais. The dance that brings together farming families of the region is beginning, marking the opening of the Ox Cart Festival that features young men and women dressed like American cowboys, complete with boots, dungarees, striped shirts and Stetsons. The festival is an annual party that the region’s farmers have been holding for more than 100 years. Taking place over three days in July to celebrate the corn harvest, it harkens back to colonial times, when ox carts were the main means of transportation. After a night of revelry, in the morning cowboys climb up on their ox carts and begin crossing the Serra da Boa Vista mountain range. The uphill ascent of more than 12 miles (20 kilometers) includes winding paths and dusty slopes. Besides the equipment and utensils used in the camp, each cart also carries several pounds (kilograms) of corn, symbolizing the region’s abundant harvest. As the day comes to an end, most of the 86 ox carts have made it to the top of the mountain range. Just a few young cowboys, strong but inexperienced, fail to drive their carts to the finish line. 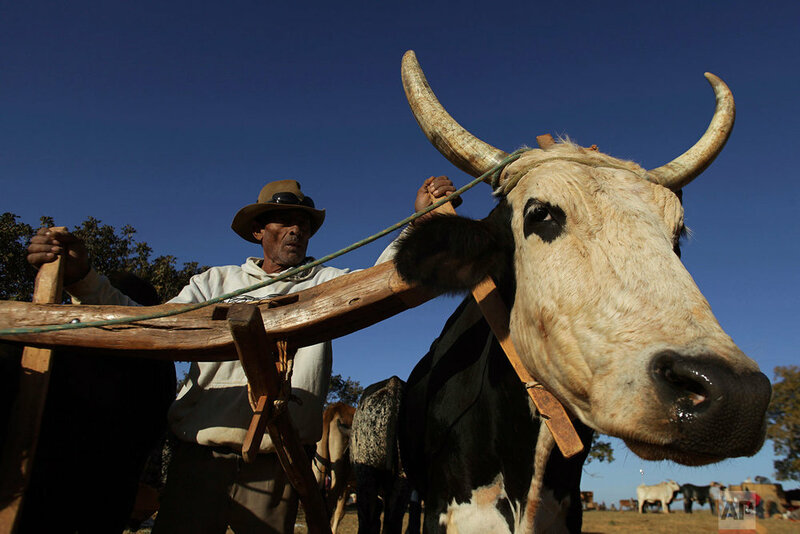 “It is a moment when we relive our past and recall the importance of the ox, because without it we do not live,” said Joaquim Silveira, a 74-year-old who has participated in the festival since he was 12. 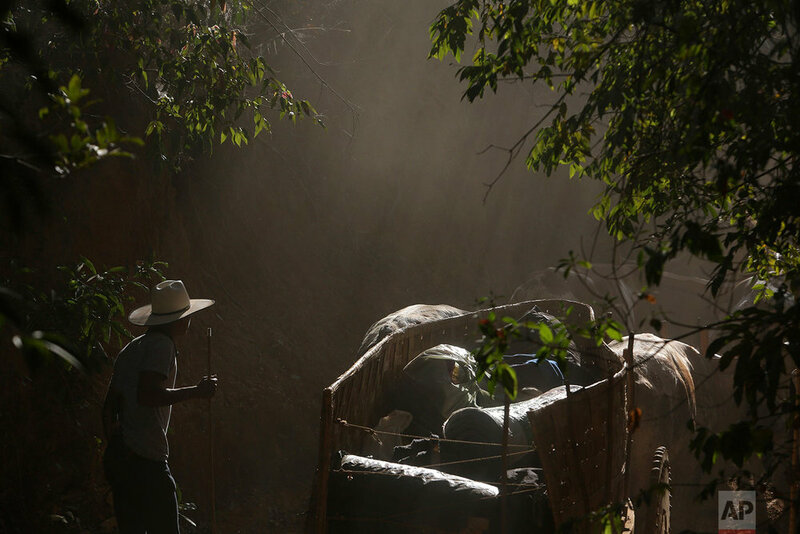 Text from the AP news story, AP PHOTOS: Ox Cart Festival celebrates Brazil colonial days, by Eraldo Peres.